Are you ready to take a bite out of the Big Apple? If so, let us help! From the bright lights of Broadway to iconic sites like the State of Liberty and Empire State Building, this city is unlike any other in the world. In fact, it offers a little something for every traveler and budget. 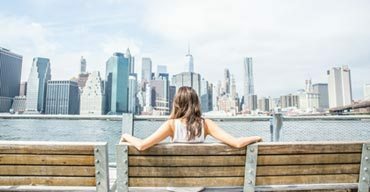 Start planning your New York City vacation with Tripster to not only save money but discover all the ways to explore this vibrant destination. Attending a Broadway show is a quintessential New York City experience. The bright lights of the marquees are known worldwide, as is the stream of talent that fills its stages. More and more shows take over Broadway each year. And each creates a fandom all its own. When you visit a city with the most award-winning theater district in the world, it can be hard to decide which show to see. They’re all SO good. However, some are surefire standouts that are more than a show—they’re a moment. 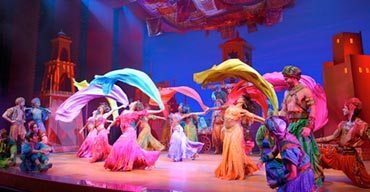 Join the experience with this guide to the best Broadway shows in NYC. I frequently travel by myself. It’s part of the job, but it became part of me. After becoming a seasoned domestic solo artist, I was quite comfortable hopping the pond and trekking through England, France, and Scotland solo. I treasure that trip because it was mine. I could be selfish, demanding, and make changes on the fly. It was excellent. Likewise, the same can be said of my solo travels to New York City. The city speaks to you in a different language when you’re on your own. Just because you’re traveling to New York by yourself doesn’t mean the Big Apple has to be forbidden fruit. If you’ve been itching to go to on a trip, follow these tips to see just how rewarding traveling solo can be. New York City offers visitors a tremendous amount of things to see and do. 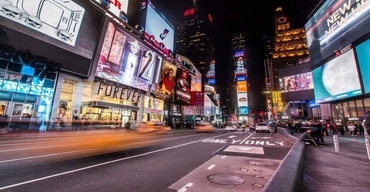 Home to bright lights, towering skyscrapers, and abundance of attractions for all ages, like the Statue of Liberty and Broadway shows, the Big Apple is teeming with activities for vacationers. Best of all, though, NYC visitors can have a blast without spending a fortune to do so. Check out these free things to do in New York City. You’ll have a great time in the city—guaranteed.